Feeling like a fish out of water or overwhelmed with life in France at times? Everything is so very different on all levels, from taxation to paying bills, to how to shop for food. What can you do to feel more at home? This is something that, as a counsellor, I hear on a regular basis. Here are my thoughts. You certainly are not the only one to be feeling like a fish out of water; in fact on the contrary, the majority of my clients have experienced or are continuing to experience the culture shock of moving to and making a new life in a different country. Without wishing to oversimplify, Culture Shock is actually a recognised and common phenomenon with four fairly distinct phases and it might be helpful for you to recognise what stage you are at – it will allow you to not feel so alone and validate that your feelings are entirely normal. 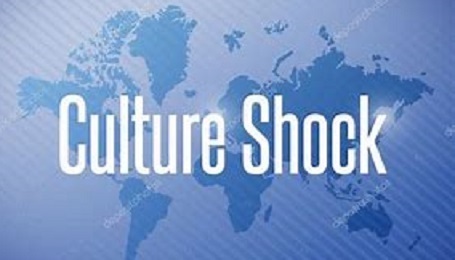 The first stage of culture shock is often overwhelmingly positive during which the expats become beguiled with the language, people and food in their new surroundings. At this stage the move seems like the greatest decision ever made; an exciting adventure to stay on forever. On short trips – for instance if you have spent many summers here – the honeymoon phase may take over the entire experience as the later effects of culture shock don’t have time to set in. On longer trips or a permanent stay, the honeymoon stage will usually phase out eventually. This is possibly the most difficult stage of culture shock and is probably familiar to anyone who has lived abroad or who travels frequently. At this stage, the anxiety and fatigue of not understanding gestures, signs and the language sets in and miscommunications may be happening frequently. Even if you do speak a little French, wrapping your head round just the required paperwork is pretty daunting for most of us! Me included. Making a phone call? Very, very difficult! This then tends to become a bit of a vicious cycle: the more difficulties that present themselves, the more we tend to back off trying to deal with them (even getting your car reregistered is a classic paper-moving exercise!) and that can have a very negative impact on one’s self-esteem. And that is a very slippery slope! Things that you used to achieve (and, therefore, gave you a sense of achievement) without even having to think about them become huge obstacles – from grocery shopping to paying bills. The more knockbacks you get (I know one lady who took too long trying to understand what the automated petrol pump was trying to tell her and got shouted at by a Frenchman next in the queue – she has never been back and her husband now has to fill her car), the more it knocks your confidence and the more your confidence gets knocked, the fewer things you find yourself doing. Taking on any new challenge becomes too much. By this stage what you feel you have lost, among other things, can be your previous countless opportunities and possibly even your freedom. This eroding feeling of the lack of independence can make you feel desperately homesick. Bouts of depression or homesickness and feelings of longing to go home where things are familiar and comfortable are all common during the frustration stage. Generally, though sometimes several months (the time of year has a big bearing on this) after wrestling with the emotional stages outlined above, ?the final stage of culture shock is acceptance. Acceptance doesn’t mean that new cultures or environments are completely understood, rather it signifies realisation that complete understanding isn’t necessary to function and thrive in the new surroundings. During the acceptance stage, the expats have the familiarity with and are able to draw together the resources they need to feel at ease. You stop constantly comparing and contrasting everything and you begin to realise that one culture is not better than the other, ?there is no right or wrong, they are just different and it will take time to understand and accept this. What can you do to get through this? Stay connected with your friends and family back in the UK. Try not to gloss over how you are feeling – most of them will automatically assume that, having followed your “dream” you are now living the life of Riley. There is no shame in sharing with people who love you how difficult you are finding it and the reasons why. Don’t, necessarily, expect them to understand (“but you’ve got a swimming pool and sunshine!” was one response recently from a client’s daughter) but just airing your anxieties will help. Join local Facebook groups – connect online to like-minded people, even if all you do initially is lurk! 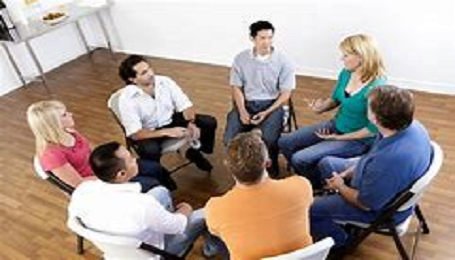 Once you’ve connected a bit, arrange to meet someone for coffee or join an art group (if that’s your thing) or some other form of meeting new people. 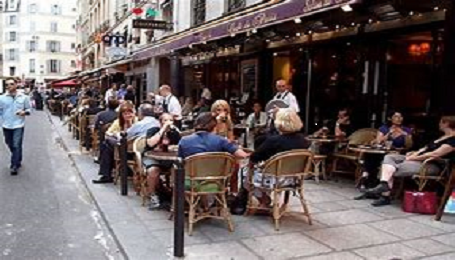 There are informal French conversation classes all over the place (look out for the French Buzz initiative window stickers) – remember you are not alone in this and, as we get older, we all find it more difficult to learn a language. But even if all you do is connect with people who are struggling in the same way, it will help you – and it will help them to know they’re not alone either! Remember you came over here for a reason. Remind yourself what those reasons were and how far you have actually come. Make lists of what you find particularly difficult and, if you’re lucky enough to have a partner, work through how you’re going to tackle them together. Get outside help if needed – there are so SO many people here who, having experienced the same feelings themselves, are more than happy to help. Remember this will pass – you are out of your comfort zone at the moment. But you don’t need to stay there. You have the rest of your life to sort this out, remember? Plan what you need to do to make it a happy experience and, with time and belief in yourself, you will get there.